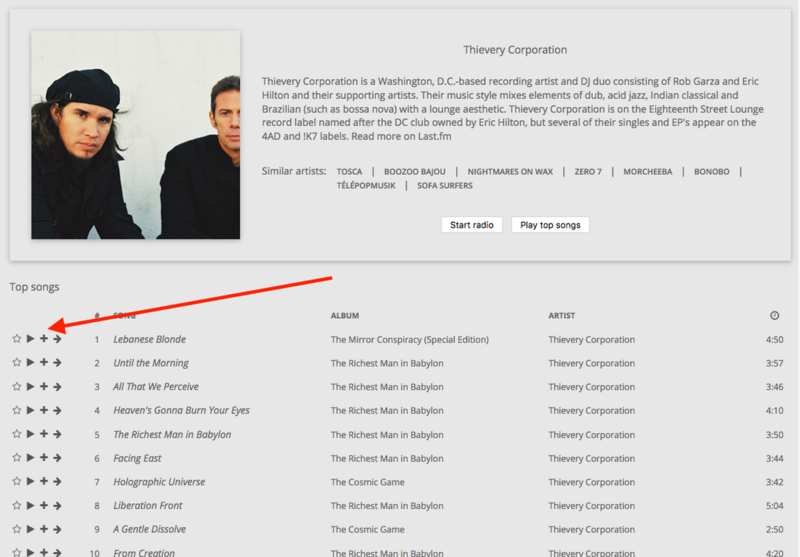 In the Top Songs listing that appears under the artist bio info, adding an "Add to Playlist" option in the icon set on the left would be helpful. Ya know... all the "best songs" are right there why should I have to go to each album to create or add to a playlist? Add the checkbox into the set of icons indicated by the red arrow and have the drop-down at the bottom of the list. Or does is exist and I have option turn off?